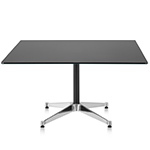 Because your outdoor spaces deserve the same quality of furniture as your interiors, Herman Miller is offering the Eames Tables Outdoor. 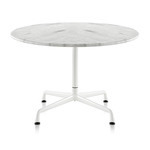 Suitable for terraces, patios, or al fresco dining areas in both warm and cool climates, the range of tables offers a durable and sturdy solution wherever a surface is called for. 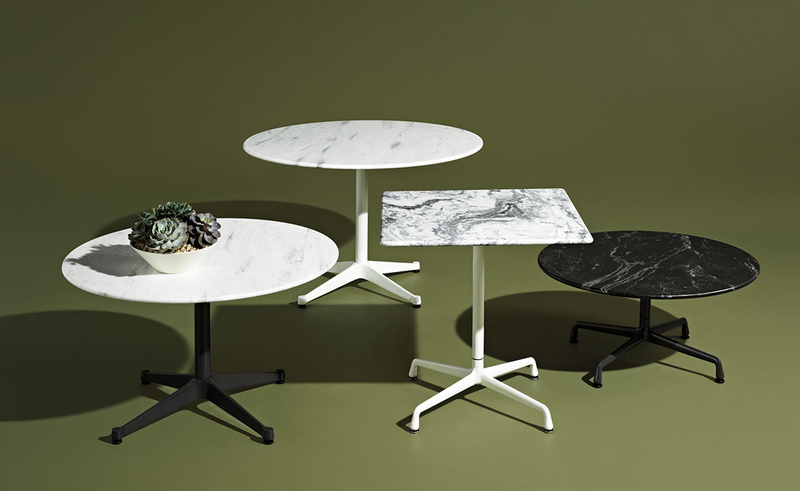 Round and square offered in a wide variety of sizes, surfaces, and heights enable you to select exactly the right weather-resistant table to suit your space and use. 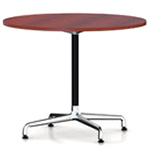 It's hard to improve on a classic, but Herman Miller reengineered the Eames Tables to stand up to all types of weather, replacing parts that weren't suitable for outdoor use, adding durable powder coatings, and offering a selection of four North American stone tops. 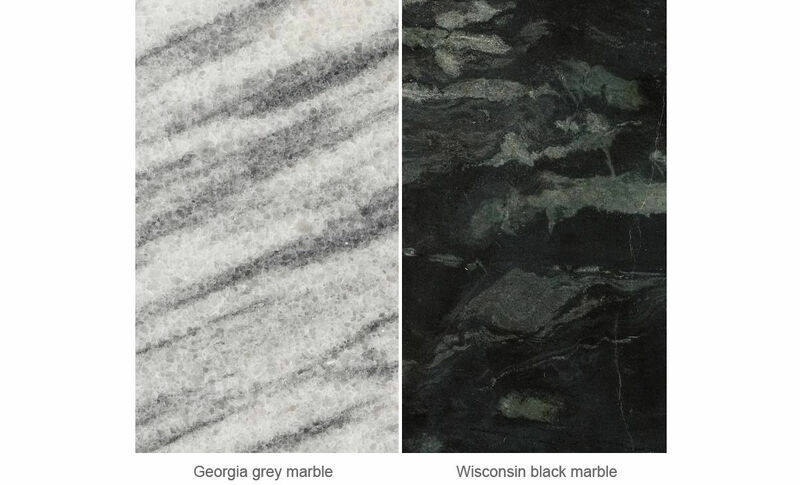 Stones are sourced from four North American quarries and are named after their home state: Georgia Grey Marble, a cloudy grey stone from the same location used in the 2004 renovation of New York's Museum of Modern Art; and Wisconsin Black Marble, a unique dark stone speckled with lustrous green and grey veins. Once extracted, two centimeter-thick slabs of stone are cut to order with a bull-nosed edge and given an eggshell-like honed finish. 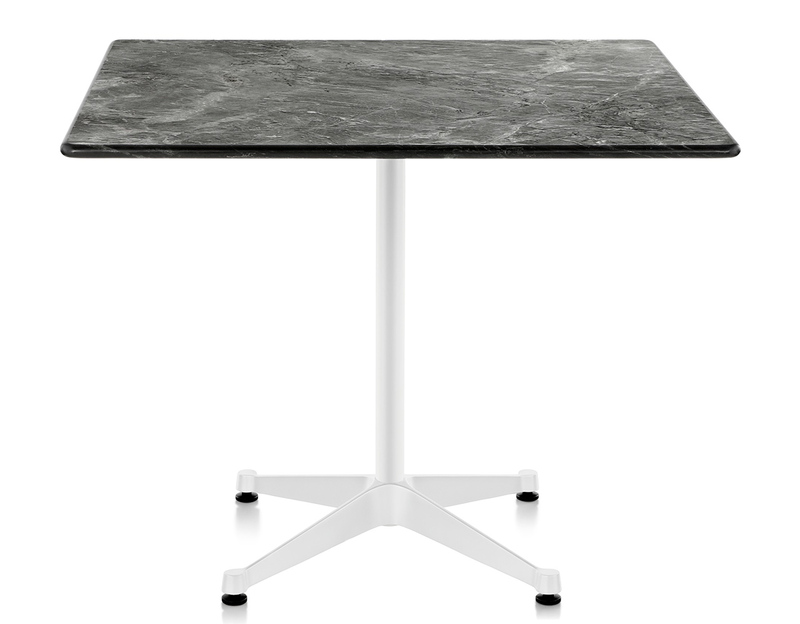 The four-legged cast aluminum base is available in two powder-coat outdoor finishes. Tops and bases are connected with a bolt that runs the length of the column to ensure strength and durability through years of use. 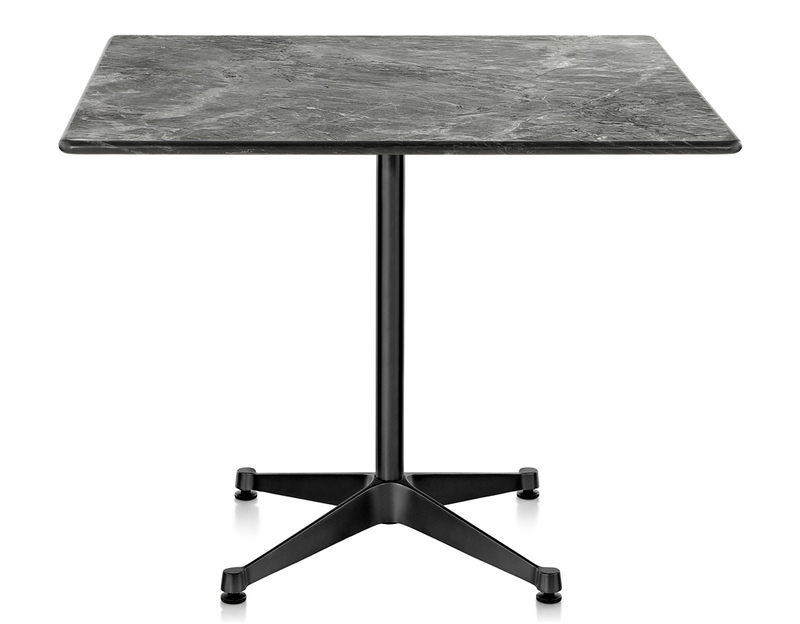 With matching bases and complementary finishes, these tables go especially well with the Eames Aluminum Group Outdoor chairs. 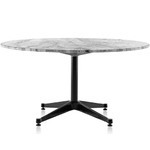 $3,784.00 + free shipping in the continental U.S.
eames universal base outdoor table 30 dia. 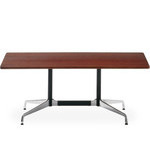 eames universal base outdoor table 36 dia.